(NewsUSA) - It's no secret that shopping for holiday gifts can be overwhelming. 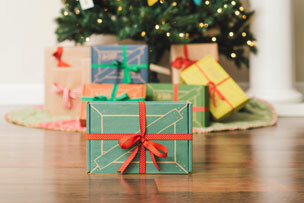 The answer to alleviating the stress of thoughtful gift giving comes in a cardboard box. Subscription box services are popular options for a "gift that keeps on giving," providing a personalized experience delivered safely every month. In fact, in a survey conducted by the Paper and Packaging Board from August 2015 to November 2016, 82 percent of those surveyed agreed that they could rely on corrugated cardboard boxes to get their merchandise shipped and delivered safely. And 60 percent feel that products that come in paper-packaging tend to feel more premium. Innovations in box and packaging design allow these boxes to delight well past delivery with extended use and upcycling options. For the Kid Who Is Going to Run the World. KiwiCo develops monthly STEAM educational hands-on projects and activities to spark curiosity and creativity in kids aged 0-16+. Each eco-friendly corrugated box is filled with interactive projects to fit a child's respective age group. As your child or loved one grows, so do the boxes! * Loot Crate (LootCrate.com): For the Pop-Culture Obsessed. Loot Crate is a pop culture- themed subscription box featuring a changing monthly theme that covers all fandoms. These corrugated boxes hit every interest from video games to television and movies. Loot Crate offers an additional perk - the box is part of the monthly theme itself, which is to say, the box transforms into a "bonus" gift with some simple cuts and folds. You have to see it to believe it. * Graze (Graze.com) - For the Foodie. Graze is a subscription box that uses high-quality, nutritionist- approved ingredients to provide wholesome snacks. Graze uses responsibly resourced paper-based packaging to ensure that its products are safe and fresh for consumption. Foodies can subscribe for weekly, bi-weekly or monthly deliveries of personalized Graze boxes based on their custom-snack profile. *KitNipBox (KitNipBox.com): For the Cat Lover. KitNipBox is uniquely themed so cats (and their humans!) have something fresh, fun and new to look forward to each month. The design of the box, which can be recycled, is specifically made to fit 95 percent of cats, so they can play with the box and fit inside of it. Additionally, KitNipBox uses specially designed crinkling tissue paper in the boxes, so that the unwrapping experience is even more special for cats and their owners. Cratejoy is the world's premier subscription box website, providing a global marketplace of products. Cratejoy offers a vast selection of uniquely crafted corrugated boxes suited to virtually any hobby, interest or taste.